Worcester Bosch vs Viessmann boilers - Which Boiler is more Efficient? Worcester Bosch vs Viessmann – Which is the Better Boiler? Worcester bosch vs Viessmann comparison is now gaining traction in the UK, as more and more people are looking at the latest Best Buy Boiler report for 2018. Worcester Bosch boilers are well-established and award-winning in the UK, and their boilers have been installed in over 1 million homes across the UK. Their exposure is second to none compared to every other boiler company. Meanwhile over in Germany and Europe, Viessmann‘s already massive market share continues to go up. In the past decade, Viessmann have covered major technical ground and are now definitely one of the best boilers in the world. If you would have asked me 12-13 years ago which boiler is best, I probably would have given you a different answer. But times change, technologies evolve, and things change for the better. 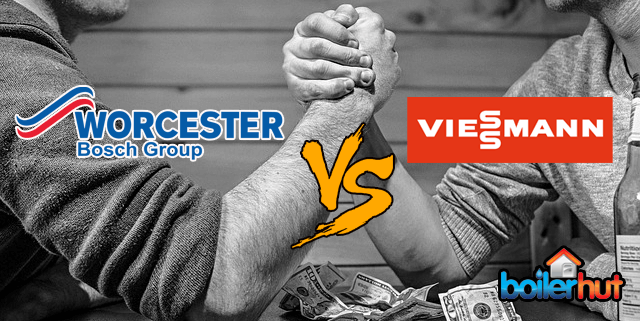 Today, when it comes to Worcester Bosch vs Viessmann, I’d say Viessmann edges it. In May 2017 and 2018, one of UK’s largest independent consumer body surveyed more than 10,000 boiler owners online to ask them about their experiences with their boilers, which covered any breakdowns, problems, annoyances with their boiler. From this they determined the reliability rating for each brand. They also asked them to assess how satisfied they were, and how likely they would be to recommend their brand of boiler. On top of gathering views of owners of each brand of boiler, they also collected opinions of heating engineers who work with boiler installations and repairs every day. In April 2017 and 2018, they surveyed more than 200 heating engineers about their views on boiler build quality and their likelihood to recommend a boiler brand. The availability of parts and spares. How easy it is to fix a common fault with each brand of boiler. And how easy it is to service them. 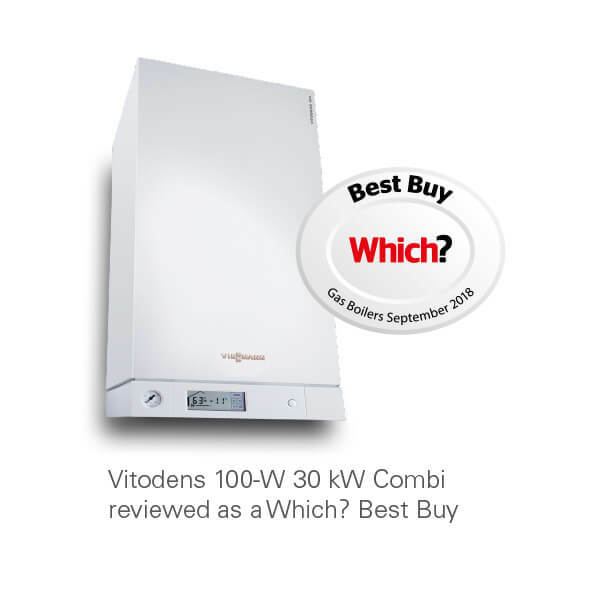 Worcester Bosch vs Viessmann both are unanimously regarded as 2 of 5 Best Buy Boilers from 300+ boilers tested. Our in-house heating experts and experienced engineers who have been installing boilers for decades now, say Worcester Bosch boilers’ build quality is among the best. They offer a 5 year warranty. Should any time the thermostat fail, there is a manual override switch, which can save you on a cold winter night. Worcester Bosch claim 1 out of every 10 boilers in the UK is theirs. This claim may not be backed by actual figures. In any case, we believe the landscape may be changing soon. Don’t get us wrong, whatever is the verdict on Worcester Bosch vs Viessmann, Worcester are still one of the best boilers available in the UK. They are market leaders for a reason. Well known brand in the UK, a lot of satisfied customers. Simple boiler controls with clear information display. Low risk of condensate pipe freezing in severe weather. Wide choice of controls enables greater comfort and economy. Low energy pump reduces electrical usage. Instantaneous hot water, always available. Achieves an A+ ErP package efficiency rating for heating when installed with a Wave smart internet connected control. High hot water flow rate. Simple boiler control knobs with clear temperature display. Frost protection is included, reducing frost risk if installed in a garage or a loft. Larger two bathroom properties can be supplied by higher output options. Inbuilt keyless filling link making it easy to refill your system. Large Condensesure style siphon built into the boiler – eliminates frost risk. Fighting from the red corner in the Worcester Bosch vs Viessmann fight, Viessmann were (and are) world leaders in the commercial heating space long before they entered the UK domestic boiler market. Viessmann commercial heating systems keep some of the largest buildings in the world, including stadiums, royal palaces and rival boiler manufacturer factories (*cough* Vaillant factory *cough*). Viessmann have also continued to innovate, which shows in their extensive boiler range. This has meant they’ve left the competition in the dust in some areas. All Viessmann boilers are condensing boilers, which means they not only utilise the heat generated by combustion, but also create more heat by recycling the water vapour content. This enables them to extract all of the heat contained in the flue gases and convert it into heating energy. That would get wasted in an older non-condensing boiler. All boiler manufacturers in the UK have condensing boilers now, so this isn’t something unique to Viessmann. But we do believe Viessmann condensing boilers are definitely at the top of the pile. Deal Changer = Stainless Steel Heat Exchanger – Look ma, it rhymes! 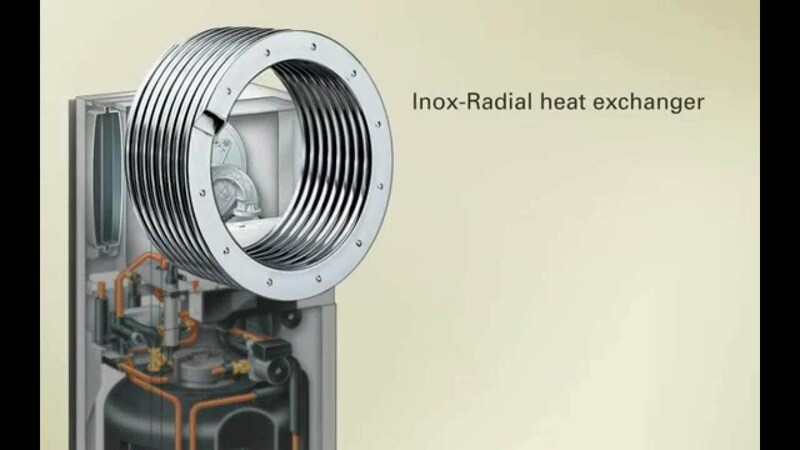 What really makes Viessmann boilers stand out in the Worcester Bosch vs Viessmann fight is the high performance, patented Stainless Steel Inox-Radial Heat Exchanger. This is unique and exclusive to the Viessmann boiler range. All their rivals, including Worcester Bosch and Vaillant etc. use an aluminium heat exchanger, in most cases sourced by a third party manufacturer based in France. So What’s the Big Deal with Stainless Steel? In the Worcester Bosch vs Viessmann fight, we believe this is a massive vote in Viessmann’s favor. Stainless steel is highly resistant to corrosion in a wide range of pH levels. Whereas for aluminum, if the proper fluids are not used to produce and maintain a narrow pH range, it will corrode much faster. Without the use of proper fluids, you may damage an aluminium heat exchanger. And if you do damage the heat exchanger, your warranty will be voided, because the manufacturer will cite improper use of fluids. In direct comparison, stainless steel heat exchangers do not require special fluids, are compatible with plain clean water and commonly available propylene glycol. Stainless steel is also more expensive to source or manufacture compared to aluminum. So, what makes more financial sense for a boiler manufacturer? While aluminum is lightweight and initially has better thermal conductivity initially, but over the long run stainless steel will be much better value for money due to the longevity and better resistance to corrosion. Aluminum will rust, corrode, warp, and break down long before stainless steel, so investing in a boiler with a quality stainless steel heat exchanger will increase the useful life of your boiler. As the Worcester Bosch vs Viessmann fight carries on, Viessmann lands another uppercut, as their boilers have a built in shock arrestor. If you’ve never experienced a water hammer problem, first be grateful. Second, make your central heating future proof and water hammer proof by buying a Viessmann boiler. In simple terms, water hammer feels like a leprechaun hammering your water pipes every time you open the taps in your house. In more technical terms, water hammer is a pressure surge or wave caused when liquid (but sometimes also a gas) in motion is forced to stop or change direction suddenly (momentum change). A water hammer commonly occurs when a valve closes suddenly at an end of a pipeline system, and a pressure wave propagates in the pipe. It is also called hydraulic shock. Throughout the Viessmann boiler range, the pressure relief pipe and condensate are combined. This gives the installers more choice in siting the boiler, allowing a lot more flexibility with replacement, retrofitting, and new boiler installations. As shown in the heat exchanger comparison diagram above, longevity becomes a big factor in the Worcester Bosch vs Viessmann fight. The use of condensing technology in Viessmann boilers means they can achieve efficiency of up to 98% (on select models) and are rated energy efficiency class A. The heat exchanger cools the flue gases before they escape through the chimney. In doing so, the water vapour contained in these gases is deliberately condensed. This releases additional heat which is transferred into the heating system. This also helps them modulate energy usage, so they hover between 5 KW and 30 KW as and when needed, saving you a ton on energy bills. This energy efficiency means you are saving a ton on energy bills. And by using less energy, you’re doing your bit for the planet by reducing your carbon footprint and leaving a better planet for our future generations. Well done! The stainless steel inside Viessmann boiler will last much longer without losing efficiency. 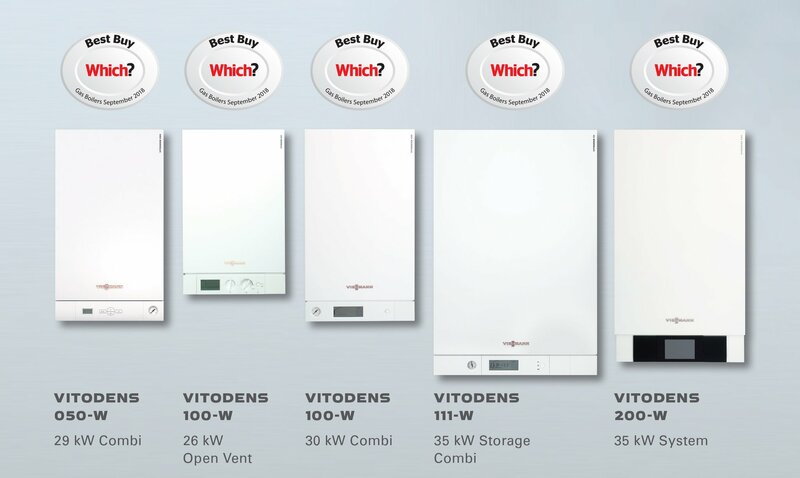 Viessmann have been awarded a “UK Best Buy Boiler” award by one of the most prominent independent consumer survey magazine for the second year running in 2018. To read the report, please click here. Last knockout punch in the Worcester Bosch vs Viessmann fight is landed by Viessmann again. While Worcester Bosch gives you 5 years warranty, Viessmann ups that to 7-10 years’ warranty, and a slew of discounts if you get it installed by a Viessmann approved/trained installer or a premium partner like Boilerhut. That’s almost double the warranty time, on top of Viessmann being superior in terms of technology and energy efficiency. From your first online boiler quote or a phone call/email to final installation, Boilerhut can install either Worcester Bosch vs Viessmann, Vaillant or Ideal boilers within a few days. All our engineers are Gas Safe, OFTEC and APHC registered/accredited. And because we are Viessmann Premium Partners, our engineers are trained to the highest standard and have undergone a rigorous training course. Also in addition to the training, we have a very close working relationship with Viessmann which means we have access to longer warranties, discounted parts and direct access for service and warranty issues. We can get most issues sorted within 24-48 hours. Don’t take our word for it, read our customer reviews on Trustpilot. We are rated excellent with 5-stars. A lot of other companies take up to two weeks AFTER the survey visit for a boiler installation. Boilerhut are working on exciting new technology which will reduce that time to just a few days. You can now get an online estimate/quote within minutes. We agree. As a business it makes sense to install Viessmann boilers in 2018, because there are next to no complaints! Viessmann have definitely listened to feedback from years ago and made positive changes. We’d say Viessmann’s range is definitely the best in Europe right now. Great Article and very helpful. Thankyou! Trying to choose between these two myself. I’m currently leaning towards the Veismann Combi..
My question is, why don’t Worcester Bosch use Stainless Steel Heat Exchangers?? There must be a reason they’re sticking to Aluminium when most of the evidence shows the Stainless Steel ones are a LOT better.. Doesn’t make sense to me! 1. Worcester Bosch are the market leading boiler brand in the UK, and so don’t have to push to innovate. 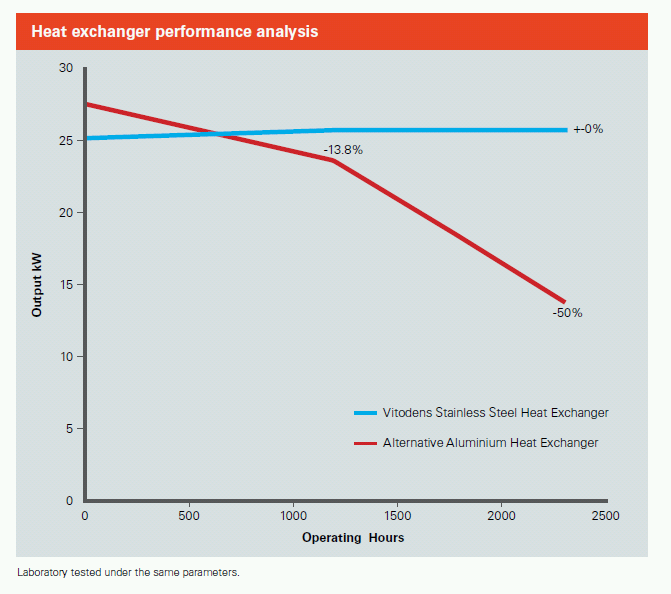 Aluminium is cheaper compared to stainless steel, which helps WB to keep the costs down. And as long as the boilers work fine for at least 10 years, their customers don’t seem to mind either. 2. Viessmann’s market share is not as high as Worcester Bosch, and so that makes them hungrier. They were world leaders in commercial boilers way before they entered the domestic boiler market. So, their sizable expertise and manufacturing prowess allows them to manufacture their patented inox-radial heat exchangers, MatriX cylinder burners, thermal stores (all stainless steel) in-house and still compete at the same price point against WB and other rivals. So, in effect Viessmann are offering a better quality product to gain market share. The only advantage aluminium has over stainless steel is cost and weight. The slight weight advantage is inconsequential for boilers. lol..!! Great stuff. Thanks for your honest reply. I bathroom with Bath and (non-electric) Shower. Total of 12 Radiators. Which model would you recommend? I’ve heard the 200 series is better than the 100..? Please call our office on 029 2009 9898 and have a discussion with one of our heating experts for the 200-W.
Our intelligent quoting system will give you a fairly accurate price estimate, which can be discussed with our heating expert and firmed up later on. Either one of Viessmann’s range, the 050-W, 100-W and 200-W will serve you well. But yes, the 200-W is their premium offering. It’s their most powerful non-storage combi boiler, walks a thin line between a commercial and residential boiler. It’s also one of the most energy efficient boilers available in the UK at 98% efficiency. I’m currently doing the same thing, trying to choose between a Worcester Bosch and a Viessmann. Moved in to this property in 2017, previous owners installed a Raven Heat white star which is at least 10yrs old but recently its making loud noises and struggles to provide hot water. The boiler is unfortunately installed in a bedroom so need a quiet boiler. Read many recent reviews about the Viessmann and there are a lot of negative reviews. The gas engineer recommends the Viessmann as he fits both. But I’m still undecided. Really need advice or opinions. I’ve emailed some information over to you yesterday. I think every manufacturer has negative and positive reviews. We’ve installed 99% Viessmann boilers all across the UK since 2013, and received very, very few complaints. The good thing about Viessmann is, unlike other manufacturers, they actually pay attention to any negative feedback and try to improve by constantly innovating. Which shows in how quickly they’ve grown in the UK market. I have a 4 bedroom house with 3 bathrooms and 15 radiators- I want a wall hung heat only boiler do Viessmann do one that is big enough. Must I have the Viessman fitted by Boilerhut or can it be sourced elsewhere as I have a Gas Safe plumber who I know and trust implicitly in my property. If he fits it so are there any catches on the warranty. Thanks very much for your enquiry. Fortunately, we do offer a boiler-only purchase option which you can then have installed by a Gas Safe Registered Engineer. Bear in mind that if it’s fitted by a third party, your warranty will be limited to 5 years. However, if it’s installed by Boilerhut directly, we can extend that warranty to 10 years to ensure maximum reliability and peace of mind. For more information and advice you can speak to Paul at 07796 898985.